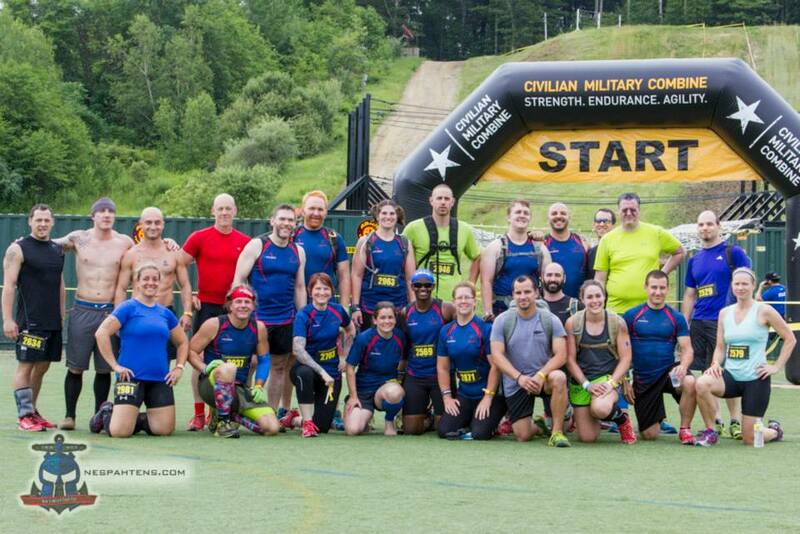 This past weekend, the Civilian Military Combine (CMC) brought its unique race series to the Amesbury Sports Park. The competition is a mix of crossfit and obstacle course racing in an attempt to measure strength, endurance and agility. The first part of the event is known as “the PIT” and following the PIT is a 5 mile mountain run with military obstacles. The PIT consists of three movements done in succession for seven repetitions each. The goal is to complete as many reps as possible in a seven minute time frame. Once the PIT is completed, all participants are given a short break that is followed by the obstacle course race. Both of these elements are combined using some type of statistical equation to determine the best overall conditioned athlete. With the current explosion in popularity of obstacle course racing, there are often several races to choose from each week. Many of them blend in and rarely stand out amongst the crowd. I was intrigued by CMC original concept and was looking forward to seeing what it was all about. Runners familiar with obstacle course racing in New England have become well versed on the parking situation at Amesbury Sports Park. Each race pretty much handles it the same way. Participants are directed to park at a nearby dog racing track in Seabrook, NH and then take a shuttle bus to the venue. Parking was $10 per car (quickly becoming the industry standard) and there were two buses waiting for us. I got there early so there were no lines at all. Not sure how it was for the later waves. A quick ten minute ride and we arrived at the park. Amesbury Sports Park has become the main location for these type of races. There is plenty of room and many of the obstacles are visible to spectators. y issue is that if it truly was a security measure then why was I able to pick up my bag after my race wave and walk around the park with it no problem the rest of the day? Seemed like a way to squeeze an extra $5 out of everyone. Apparently, the $5 could be discounted off any merchandise purchased, however that was never explained at bag check. acer that decided to skip the PIT, ran the 5 mile race and then was inspired to return and complete the PIT afterwards. The CMC website provided instructional videos explaining each exercise and offering tips. I ran through the exercises a few times prior to the event to get a feel for how to approach the PIT. It was a tough decision on how much energy I wanted to expend in the PIT knowing that I would need to complete a 5 mile obstacle race immediately after. My goal was to try to get 100 reps. I only got to 89 and felt pretty good about that….until I saw some of the scored posted throughout the day. Holy hell!!! I think the high for the day was around 170 reps which sounded absolutely insane to me! Not quite sure how that is even humanly possible. The crossfit people killed it in the PIT! Not sure how they fared in the race portion though. It was an interesting dynamic in the crowd. You could tell who the crossfitters and the obstacle race people were. wing freely for a couple feet. The final obstacle involved squeezing through the mouth of a horizontal metal frame about two feet wide that had cargo netting above and below. The course was well marked with caution tape and fluorescent paint. With all of the intricate routing through the fields, CMC did a great job in making sure no one veered off course. All obstacles were solidly constructed and they had a bunch of water stops throughout the race. available for any questions. It took a few minutes to locate the wash area which was a giant snow-making fan spraying water out. It worked well enough to get most of the mud off but I would have preferred having a bunch of hoses to use. I’ve been told there were changing tents but I have no idea where they were. Most people simply changed under a towel or between cars. This needs to be better coordinated. Overall, CMC put on a first class event. Everyone involved acted professionally and were really accommodating. 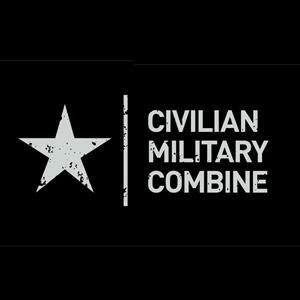 In a sea of obstacle course races, CMC stands out for their unique approach. By mixing crossfit with obstacle racing, it really does balance the playing field and make for an interesting competition. I am looking forward to next year’s race and will begin preparing now for the PIT. Please visit muddywarthog.com for pictures and video of the race! Thanks!! Parking: The same drill as with any race at Amesbury Sports Complex: Parking about 10 minutes away at Seabrook Greyhound Park and being shuttled to the venue, all for a $10 parking fee. Facilities: At first I was concerned that the number of potties available would not be enough for the number of racers, but I was proven wrong. Easily found, easily accessible. Clean off wasn’t bad. It was a warm day so the snow cannon was fine (I do prefer a hose though so I can aim where needed to clean off). The changing tents were a little too close to the cannon leaving very little dry space for your clean stuff. Nothing major, and nothing some resourcefulness couldn’t fix! Vendors: I only really saw Core Power on site. Beyond that there was the normal food (burgers, pizza, chicken, fries…) and a CMC merch tent. If you’re new to OCR you don’t really know the ins and outs of ASC, but being a veteran I am always curious to see what each race has to offer with respect to the land they are allowed to use. CMC did a great, no, FANTASTIC, job using the resources. We stuck to the well trodden trail for a bit, then used some of the less traveled trail, and at some points we were literally trail blazing. I’m sure I found some poison ivy in my travels, but such is the life of OCR (and nothing a little Tecnu can’t fix!) The course was technical, different, and fun. None of the obstacles were really over the top difficult, a couple made me pause for a moment to determine my best course of action, not once did I pause for any safety related concerns..
5 foot (??) walls – Used frequently through the course and frequently found cresting a hill or climbing a hill. Ladder Walls – Also used frequently. By the last one I think I developed some sort of technique. Ranger Ropes – A nice, and different, balance obstacle. I wasn’t really worried about falling, but I believe there was a net below to catch anyone. Wobbly Ladders – Super fun, but watch out when you get to the other side…they do shift! Lobster Net – A fun way to use cargo nets! **Water Slide – I told as many CMC staff members as I could that I LOVED the execution of the the slide. I’ve seen a water slide at a few events at Amesbury, and none of them were executed well (See Superhero Scramble’s attempt). This one even trumped the epic slide at SR Super -Vernon, NJ last year. I wasn’t worried about going off to a side, my exit was in a pool of water. It was awesome! It’s really hard to find anything negative to say about this event. Bib pickup was organized. The festival area was organized well. The Pit was run efficiently. There was plenty of water on course. I think this is my favorite event to date! Amesbury Sports Park is a fantastic choice to hold a race event. Good parking/shuttle service from Seabrook, not to many vendors at this event but that’s no bigggie. Great Swag! Love the Dogtag,cool CMC t-shirt, and nice litte bracelet. parking was the standard drill for races at amesbury, was a little annoyed they would not let us bring bags past the bib check in point. i usually like to bring my bags in get settled in and then about 45 mins before race put on the rest of my gear and then check the bag. as for the facilities the shower was yet again the snow machine cant say i am a fan of that and i would like to see them upgrade to hoses as opposed to a machine shooting water at us at 60mph. not really much for vendors at this event it was a very basic i think there were only 3 vendors. schwag tent was basic but good few different shirts and different colors. nd maybe a few more.